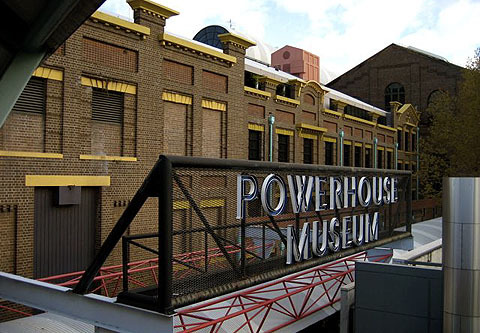 The Powerhouse Museum should not be moved to Western Sydney. The Sydney Morning Herald reports this morning that Infrastructure NSW wants to move some or all of the Museum from its Ultimo base. The idea is to move it to somewhere in the Western Suburbs on the basis that most of the State’s arts funding goes into the CBD rather than out West where the weight of the population lies. While I can’t say I’ve been in agreement often with the directions taken by the Powerhouse in the last few years (see here and here for example) I am in complete agreement that this is a really poor idea. The Museum’s Director, Rose Hiscock, rightly points out that “”You can’t just pick up a museum and move it.” My arguments with the Powerhouse have revolved around the lack of maintenance and innovative thinking which leads to Sydney not really having a viable science museum: A vibrant, educational and engaging science museum is one of the hallmarks of a progressive modern city. The idea of not having a real science museum readily accessible in the centre of the city is simply awful. Hiscock suggests, rather than moving the Museum, using the opportunity to create a “a new interactive science centre as a secondary western Sydney location for the museum”. While a world-class interactive science museum is something Sydney really needs it’s hard to see why you would attach such a beast to the Powerhouse if it is sited in Parramatta. To set up an interactive science museum like the Exploratorium in San Francisco you need a big space and innovative thinking rather than iconic displays – so beyond shared back-office infrastructure it’s a little hard to see what the Powerhouse would bring to the party (although to be fair, if they let the Thinkspace people have their head good things might happen). The Powerhouse should not be moved, it should not even be fiddled with or distracted from its main game which, at the moment, ought to revolve around getting its current activities right – until they can fix their broken educational displays, I have little enthusiasm for them doing anything else. According to the Museum’s latest annual report, 2012/13 attendance was down by more 17.6 per cent on its 10-year average. Moving the Museum wont fix that; changing it, improving it and fixing the bits that are actually broken will. Put directly: Sydney ought to have a world-class science museum in its CBD. Realistically that has to be built around the Powerhouse and resources should be put into making the Powerhouse great before anything is done that might dilute its efforts. We signed up as members at the PHM at Maker Faire this year. Our family signs up as members of an attraction for one year at a time, such as the PHM one year, Zoo the next then back to the PHM (unfortunately not going back to the Zoo now due to allergies with my son). Over the years, not much has really changed with the static exhibits, except as you mentioned, they aren’t maintained or updated. Sure they have their few main exhibits a year and then a number of smaller ones which change, but it’s the small things. The space section makes no reference to the Shuttle’s being decommissioned or the new advancements of SpaceX. One of the presenters, whose enthusiasm seemed a bit lacking and presentation didn’t seem to connect as much with the kids, didn’t even know about SpaceX. They need to take a lesson from Questacon in regards to making interactive exhibits. I’ve heard they are reducing staff and cutting funds, which is a double edged sword. Do that and the museum suffers, then people won’t attend as much. And my last thought/comment, they need to use more lighting! For years, the back hall was too dark and it was hard to read the exhibits. What I was trying to say was that the PHM shouldn’t move, but improved in it’s current location. They currently have their Discovery Center out at Castle Hill being refurbished, due to start opening mid-2015, so assuming that that’s opened for more than just the weekend, that will be another great science museum in Sydney.